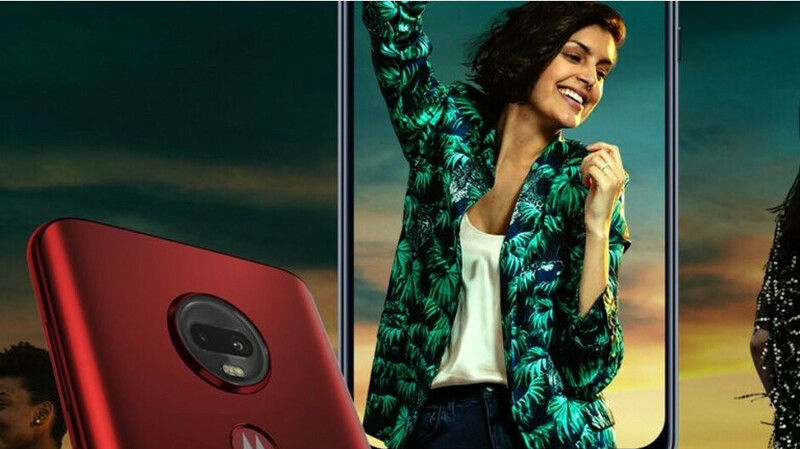 UPDATE: Ishan Agarwal now claims that the initial pricing information for the Motorola Moto G7 and Moto G7 Plus may have been wrong. In actual fact, the two devices should retail at €249 ($285) and €299 ($342) respectively in Europe. If true, Motorola's 2019 Moto G7 series will offer some serious bang for your buck, especially when it's noted that pricing in the US is typically lower. The days ago, the European pricing of the Moto G7 Play and Moto G7 Power was tipped as €149 ($169) and €209 ($238) respectively. These figures weren't confirmed officially but nonetheless pointed towards more value for money. The pricing of Motorola’s regular Moto G7 and Moto G7 Plus wasn’t included but the expectation was that they’d match the pricing of last year’s Moto G6 and Moto G6 Plus by retailing at €249 ($283) and €299 ($340) respectively. According to information obtained by Ishan Agarwal, though, this isn’t the case. In actual fact, the Motorola Moto G7 looks set to retail for €299 ($341) in most European countries while the slightly more powerful Moto G7 Plus could cost €359 ($410) in the region. At those prices, users will gain access to large 6.24-inch notched displays coupled with 3,000mAh batteries and Android 9 Pie. Both devices will also come equipped with 4GB of RAM and 64GB of expandable internal storage. The primary differentiator between the two comes in the form of the chipset – the Moto G7 sports Qualcomm’s Snapdragon 632, just like the Moto G7 Play and Moto G7 Power, while the Plus model includes the Snapdragon 636. It’s also worth noting, though, that the primary rear camera on the Moto G7 Plus should produce slightly better pictures. At these prices and specifications, the Moto G7 Plus will face some tough competition from the Nokia 7.1 and Honor Play. The regular Moto G7, on the other hand, looks set to go head-to-head with the upcoming Nokia 6.2. As usual, it’s worth noting that these figures are unconfirmed for now so they could be wrong. Additionally, the dollar prices are simply representative and do not reflect the final cost of these devices in the US – pricing is typically lower. With the Moto G7 series expected to go official on February 7, though, it shouldn’t be too long before the final prices are confirmed. Good job of pricing yourself out of the market Motorola. When you can get Pocophone F1 for 300 EUR, I can't see how would they sell those. Nice product line up, well priced too. Don't like front facing logos on phones. But for these prices, there are better phones to get anyway. Not sure what kind of drug that the Moto/Lenovo has taken, that price point and the software update? Ya good luck on that Moto.